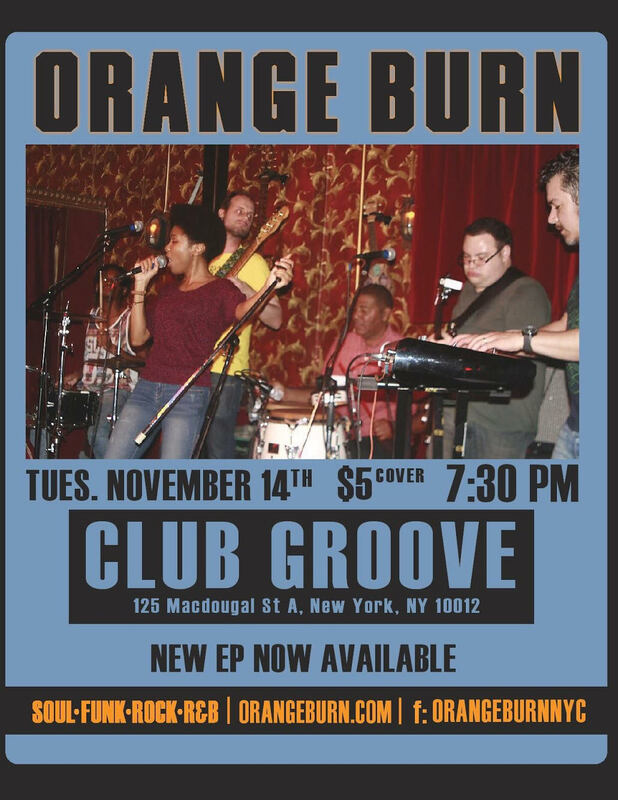 Orange Burn is a new funk/soul/R&B band from NYC. The members of Orange Burn come from rich and diverse musical backgrounds. Major influences include Sly and the Family Stone, Chic, The Isley Brothers, Orgone and Aretha Franklin. They are veterans of the NYC music scene and many members have toured internationally. Since the band formed in January of 2014, Orange Burn has been making it’s presence felt and notable venues such as Piano’s, The Way Station, The Shrine, The Rock Shop, and Rockwood Music Hall. Their first studio release, an EP, was just released in early October and can be downloaded and streamed at http://orangeburn.bandcamp.com. her platforms. Check them out at http://orangeburn.com and http://facebook.com/OrangeBurnNYC for more information.